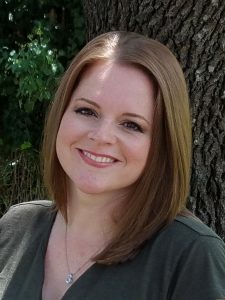 Raised in Waco, TX, Erin graduated from McLennan Community College in 2003 with a degree in radiology. She excelled in her field and began traveling as a Radiologic Technologist in 2008. After several years mastering her trade, Erin and her husband, Robbie, decided they needed a change of pace. They moved to Brady, TX to start a family and a new life. Soon after moving to Brady, Erin began working for a CPA and quickly realized she had a passion for accounting. Within her first two years, she studied to become an Enrolled Agent with the Internal Revenue Service. Erin will be performing bookkeeping, payroll and tax preparation services for our clients. Erin is also a director on the Brady Economic Development Corporation and serves her community in other charitable ways. She is the proud mother of her son, Lincoln, and fur babies, Bukha and Beeps. She and her family enjoy the outdoors and spending time with family. She loves the fall season with an emphasis on Thanksgiving and homemade pecan pie.